Morning Glow, acrylic on canvas, 16x20 plein air painting of my backyard. Matted 8x10 conservation print available, $50. I paint for the sheer joy of painting. I strive to create a unique vision of the world through my vision, talent, imagination and painting method. The magic of light provides my inspiration and joy. But the flipside of joy is sadness and I am dismayed to see the Earth being so rapidly degraded. I paint in part to remind us we need to hang on to the wonderful world we live in. I won prizes for painting and drawing as a child, but life "happened" and I was in my early 40s before I found time to seriously pick up the pencil and brush again. Since my first painting class, I have never looked back, and my interests led me to a Bachelor of Fine Arts at University of Victoria. 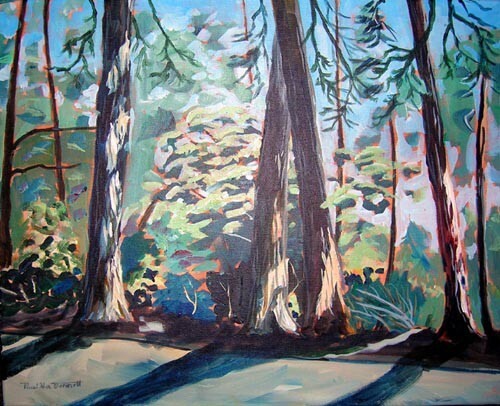 I am an Active Member of the Canadian Federation of Artists, the Saanich Peninsula Plein Aire Painters, the Jasper Artists Guild and a founder of the Broadmead Studio Tour. My paintings are in many Canadian and foreign collections and I have won awards at the local, regional and provincial levels. 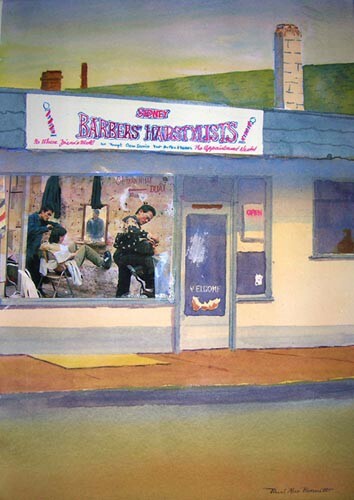 Demon Barber of Beacon Avenue. 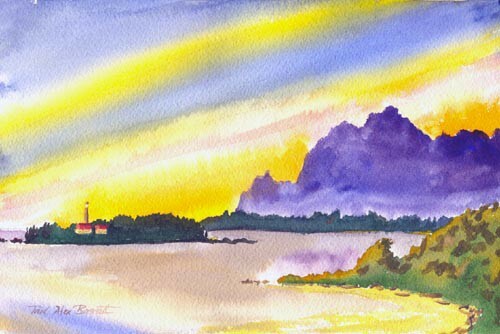 Lennard Light, 10x12, plein air watercolour painting, Tofino, BC. Matted 8x10 conservation print available, $50. 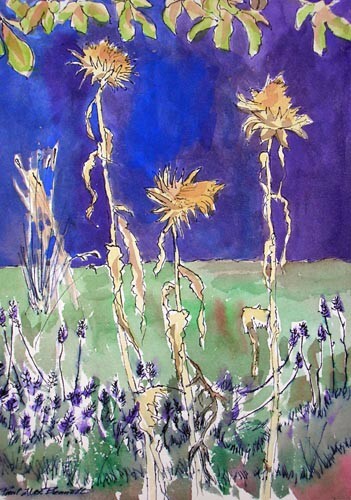 Autumn Artichokes, line and wash, executed en plein air at Bannockburn Farm, Mt. Newton Valley. Matted 8x10 conservation print available,$50. 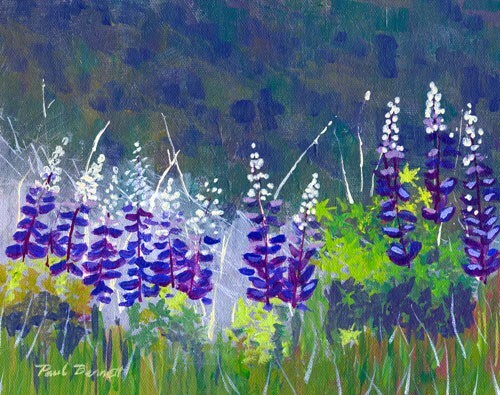 Lupins, acrylic on panel, 12x14, painted en plein air. SOLD. Matted 8x10 conservation print available, $50. Please phone 250-658-3181 for an appointment to view.